Baffin Island Current (or Baffin Current) is an ocean current running south down the western side of Baffin Bay in the Arctic Ocean, along Baffin Island. Its sources are the West Greenland Current and outflow from the Arctic Ocean. Its speed is approximately 17 km (11 mi) per day. 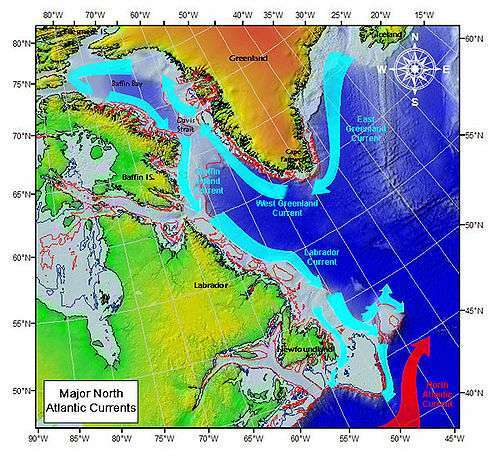 ↑ "Baffin Island Current -- Britannica Online Encyclopedia". Encyclopædia Britannica Online. Archived from the original on 29 July 2010. Retrieved 24 July 2010.